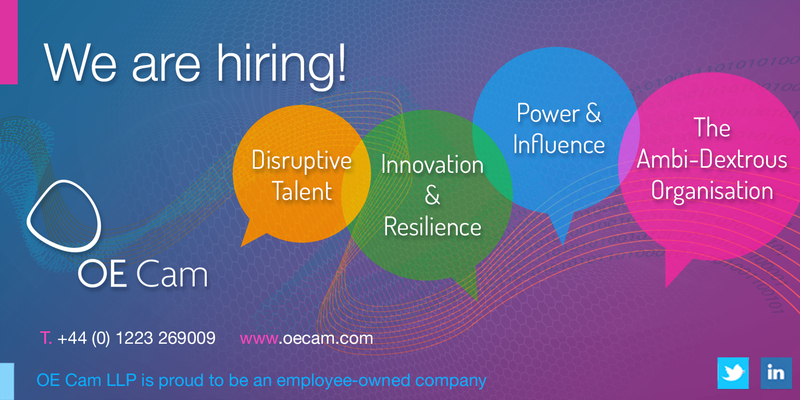 OE Cam is looking to recruit a part-time Team Administrator to join our niche management consultancy in central Cambridge. This vacancy is 30 hours a week, with the possibility of moving to full-time in the future. High level of administrative support to the Managing Partner and Partners – including e-mail management, extensive diary management including arranging UK and international travel. The role also involves planning, preparing, filing (online) and coordinating relevant papers for proposals, presentations and assessments. You will also be responsible for the administration of various psychometric tests. Business development and event management – providing support to the Marketing Manager. Data entry, database management and prompting and following up consultants’ marketing visits. Supporting the preparation of marketing events and proposals throughout the year. General office support – including answering the main office telephone, organising outgoing post, reception duties, preparing for client meetings in the office. Also providing communications (Skype and Google) support and administrative back-up to the Office Manager when necessary, and supporting other team members as and when required. A proactive, friendly, curious, confident individual with strong personal resilience who can adapt to changing situations. Strong organisational skills – to be highly organised, capable of multi-tasking often in demanding situations, with the ability to prioritise, and a strong focus on attention to detail. To be able to coordinate multiple calendars with ease and be proactive in helping the company develop client relationships. Excellent administrative skills – highly accurate and able to work under pressure and at times to tight timescales. To maintain high standards throughout all aspects of the role. Knowledge of Microsoft Office – Word, Excel and advanced PowerPoint. The ability to learn and grasp communications and other technologies quickly. Experience of Mac and FileMaker Pro desirable but not essential. We offer a competitive salary, together with a full benefits package and the opportunity to share in the equity of the firm. TO APPLY: please email your CV and covering letter to helen.pybus@oecam.com using the form below.